It’s all about image. No, we’re not talking about Hollywood, although that statement would seem to apply there as well. We’re talking about the check and how important a good image is to achieving ROI in teller capture and branch capture. Why is image so important? 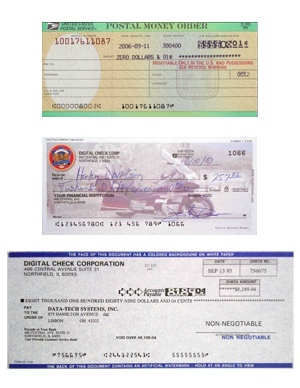 Without a clear image produced by the scanner and its related software, the optical read software (known as CAR/LAR software, for Courtesy Amount Recognition and Legal Amount Recognition) can’t read and translate the writing on the document, leading to additional keying by the scanner operator. How does this affect ROI? The impact occurs in a few different ways. First, if the CAR/LAR software cannot read the fields and translate the information into data to fill into the appropriate fields, the operator will have to spend time keying in that data slowing the process down. Second, whenever human intervention occurs, there is a chance of human error, leading to higher costs when corrections have to be made later in the process. Third, if the fields are not clear and the software interprets the field incorrectly ”” filling in the wrong data ”” again, costly corrections will have to be made downstream. What is the cost of poor images? Keying and substitution errors occur for both the MICR line and for the CAR/LAR fields. In regard to the CAR/LAR field, the software has two fields to read from and thus, two chances to read the fields correctly. However, difficult to read documents often reduce the chances of reading the legal amount field due to background interference with the written amount. The cost of keying is typically $0.25 per item, while the cost of downstream research and corrections can be as high as $25.00 per item. Image quality is a critical element to achieving ROI for teller or branch capture. For more information about branch and teller check capture, contact us.